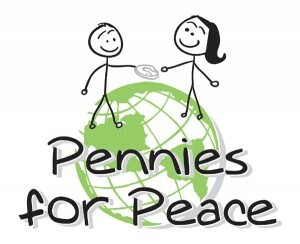 This week at Montrose, the National Honor Society is introducing Pennies for Peace: an organization that collects pennies for the Central Asia Institute. The purpose is to promote education in developing countries. Pennies for Peace is a nonprofit organization that provides education, especially for girls, in remote mountain regions of Central Asia. Founded in 1996, the Central Asia Institute has funded the construction 190 schools in Afghanistan, Pakistan, and Tajikistan. Today those schools serve more than 100,000 students. How can a penny bring peace? In the villages of Central Asia, an education provides the opportunity to break the cycle of extreme poverty, terrorism, and war. At the same time, Montrose students broaden their cultural horizons and become members of a global community dedicated to peace. A penny doesn’t buy much in our community. However, in the villages of Afghanistan, Pakistan, and Tajikistan, the pennies Montrose students collect can make a real difference. How can you help? Bring in pennies from home! Talk to grandparents, neighbors, and friends about the campaign. There will be a jar at the front desk.